The Free Patriotic Movement and Minister the Lebanese Democratic party finalized an electoral agreement for the Chouf-Aley district on Friday evening, National News Agency reported . Under the agreement the alliance will comprise Talal Arslan (Druze, Aley), Energy Minister Cesar Abi Khalil of the FPM (Maronite, Aley), Imad al-Hajj (Maronite, Aley) and Elie Hanna (Greek Orthodox, Aley). As for Shouf, Environment Minister Tarek al-Khatib of the FPM and Ali al-Hajj will run for the Sunni seats, Mario Aoun, Farid al-Bustani and Samir Aoun will run for the Maronite seats, Ghassan Atallah for the Greek Catholic seat while Marwan Halawi and Mazen Abu Dargham will contest the Druze seats. Earlier in the day, engineer Michel Skaff had announced the Zahle for Everyone list. The list comprises the FPM, al-Mustaqbal Movement and independent candidates. Skaff and Michel Daher will run for the Greek Catholic seats, Salim Aoun for the Maronite seat, MP Assem Araji for the Sunni seat, Asaad Nakad for the Greek Orthodox seat, Nizar Dalloul for the Shiite seat and Marie-Jean Bilezikjian for the Armenian seat. “Our project is principled, nondebatable and nonnegotiable: preserving Lebanon’s sovereignty, freedom and independence and backing the state and its constitutional institutions,” Skaff said. An electoral alliance was announced in the Sidon-Jezzine district bringing together the FPM, the Jamaa Islamiya and Dr. Abdul Rahman al-Bizri. The list comprises al-Bizri and Bassam Hammoud for Sidon’s Sunni seats, the MPs Ziad al-Aswad and Amal Abu Zeid for Jezzine’s Maronite seats and Salim Khoury for Jezzine’s Greek Catholic seat. The tripartite alliance is the product of several weeks of negotiations. MTV reported that the Lebanese Forces and the Phalange Party have decided to form an alliance list in the Sidon-Jezzine district. The list, which will be officially announced within hours, comprises Samir al-Bizri for Sidon and Ajjaj Haddad (LF) and Joseph Nohra (Kataeb) for Jezzine, MTV said. 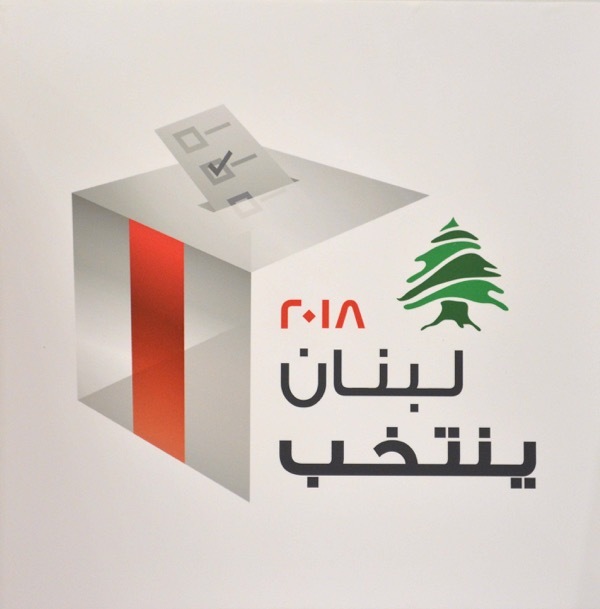 A new electoral list has launched the names of its candidates in the district of Keserwan-Jbeil, LBCI said on Saturday. The list called “Definite Change” is supported by the Lebanese Forces. It was announced from the residence of former Jbeil Mayor Ziad Hawat, said LBCI. For Keserwan, the list comprises LF candidate Shawqi Dakkash, Ziad Khalifeh (Free National Liberal party), Patricia Elias, Antoine Mhanna and Naaman Mrad. As for Jbeil, Fadi Rohana Saqr, Ziad Hawat and Mahmoud Awwad (Shiite). Keserwan-Jbeil has eights seats in the parliament, seven Maronite seats and one Shiite. In Baalbek-Hermel district, a new electoral list called the National Cedar list was officially registered at the Interior Ministry on Friday to compete against Hezbollah -AMAL alliance in the upcoming elections. The National News Agency said the list of ten candidates was submitted to the ministry Friday to win ten seats distributed as follows: 6 Shiite seats, 2 Sunni seats, 1 Catholic, 1 Maronite. The National Cedar list is comprised of Khaldoun Sherif, Abbas Assaf, Mohammed Ghassan al-Shall, Mohammed Khalil Raad, Fouad al-Mawla, Hamad Dib, Adel Bayan, Waed Sukkarieh, Leila Tannouri and Saadallah Arud. The Lebanese Forces and Future Movement have formed their own list “Dignity and Loyalty” to confront the Shiite duo of Hezbollah and AMAL. The LF-Future list is comprised of: Yehya Shams, Khodr Tleis, Refaat al-Masri, Mohammed Suleiman, Ghaleb Yaghi, Mohammed Hamieh for the Shiite seats, Salim Kallas for the Catholic seat, Bakr al-Hujeiri (Mustaqbal) and Hussien Solh (Mustaqbal) for the Sunni seats, Antoine Habshi (LF) for the Maronite Seat. Lebanese Forces leader Samir Geagea announced Thursday that the Baalbek-Hermel electoral district will witness a “historic coup” in the upcoming parliamentary elections. Two other electoral lists were formed. One led by ex-Speaker Hussein al-Huseini called the Civil Resistance, and another one led by ex-minister Fayez Shokr. The Progressive Socialist Party and the Lebanese Forces on Thursday submitted to the Interior Ministry their electoral lists for the Shouf-Aley and Baabda districts. PSP chief MP Walid Jumblat’s son “Taimur Jumblatt visited Thursday morning the headquarters of the Interior Ministry in Sanayeh, where he registered the Reconciliation List of the Chouf-Aley district,” a PSP statement said. “The list comprises Taimur Jumblatt (PSP), George Adwan (LF), Naji al-Bustani (independent), Ghattas al-Khoury (Future Movement), Nehme Tohme (Democratic Gathering), Marwan Hamadeh (PSP), Bilal Abdullah (PSP) and Mohammed al-Hajjar (Future) for the Chouf region, and Akram Shehayyeb (PSP), Henri Helou (Democratic Gathering), Anis Nassar (LF) and Raji al-Saad (nephew of Democratic Gathering MP Fouad al-Saad) for the Aley region,” the PSP added. Social Affairs Minister Pierre Bou Assi of the LF meanwhile registered a list for the Baabda district, called the “Baabda Unity and Development” list. The list comprises Pierre Bou Assi, Cynthia al-Asmar and Joseph Adaimi for the Maronite seats, Hadi Abu al-Hassan for the Druze seat and Salah al-Harakeh for the Shiite seat. The deadline for registering lists expires on March 26. The parliamentary elections will be held under a complex proportional representation system on May 6. “With all due respect to all candidates and lists, this election is actually a confrontation between two camps, two approaches and two wills. It is between a camp that wants to protect Beirut’s political, national, Arab and Beiruti identity, and another that wants to hijack Beirut’s decision and its identity,” said Hariri at a ceremony to announce Future Movement ‘s electoral list for Beirut’s second district. “The confrontation in this election is between your list – ‘The Future for Beirut’ — and the list of Hezbollah. Any voter who stays home on May 6 would be voting for Hezbollah… Any voter who votes for a list other than The Future for Beirut list would be eventually serving Hezbollah’s interest,” Hariri added. “These are fateful elections par excellence,” the premier warned. “It failed to usurp Beirut’s dignity through the force of arms, and you, Beirut’s people from all sects, will not allow it to usurp Beirut through ballot boxes,” the premier emphasized. At least six electoral lists will compete in Beirut’s second district in the May 6 elections. 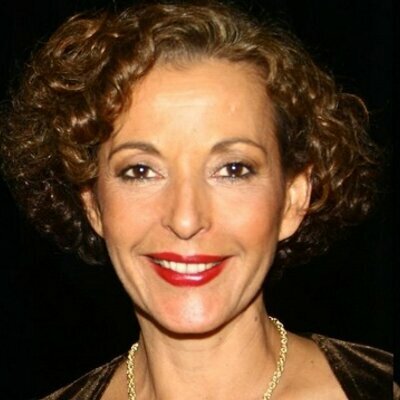 Prominent Lebanese-American journalist Raghida Dergham on Friday announced during a meeting with Prime Minister Hariri that she has decided to withdraw from the race for the Druze seat in Beirut’s second electoral district — though she was running on a rival list. “I had decided to engage in the electoral battle for corrective goals, not for political strolls or childish ambitions or to be on vengeance lists based on political and personal malice,” Dergham said after the meeting at the Center House. Dergham was running on a list led by the journalist Salah Salam, the editor-in-chief of al-Liwaa newspaper. Razi al-Hajj, a candidate for one of four Maronite seats in Metn and the head of the Independent Movement, said Thursday that electoral corruption is “out of control in his district,” National News Agency reported. He accused other candidates in the district of buying votes and exploiting potential voters. “We have to differentiate between those who work honestly for Metn and those who are waiting for a paycheck,” Hajj was quoted as saying. 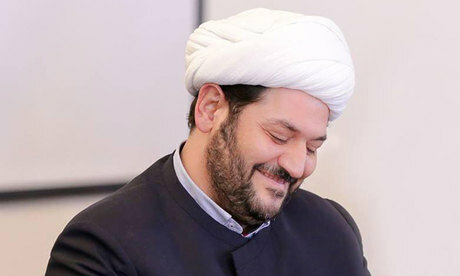 Anti-Hezbollah cleric Sheikh Abbas al-Jawhari, who is running for a Shiite parliamentary seat in the Baalbek-Hermel district, was released Friday from detention after around 24 hours in custody. National News Agency said Jawhari was ordered released by Judge Monzer Zebian. A bail was posted and Sheikh Jawhari was released,” al-Jadeed reported. In a statement issued Thursday, General Security which is headed by General Abbas Ibrahim a close ally of Hezbollah admitted arresting Jawhari based on an outstanding arrest warrant against him carrying the number 86/869 and issued on February 12, 2018 by Mount Lebanon’s examining magistrate over a drug-related offense. Jawhari’s press office also issued a statement on Thursday about the arrest. “Around five years ago, a brother of incumbent Hezbollah MP Hussein al-Moussawi rented an apartment in Baalbek for eighth months from Sheikh Abbas al-Jawhari ” the press office said. “After Mr. Moussawi’s departure from the rental apartment, a quantity of Captagon pills was seized in it and both Mr. Moussawi and Sheikh Abbas al-Jawhari were subjected to an investigation. It turned out later that it was a malicious ploy by Hezbollah to frame Sheikh Abbas al-Jawhari and target him over his opposition to Hezbollah’s fighting in Syria,” the office added. “Sheikh al-Jawhari issued later a statement confirming his innocence and the fabricated ploy,” the office said. “Hezbollah exerted pressure to oust Sheikh al-Jawhari from the race for the 2018 parliament because the cleric is the only Shiite who has the ability to clinch a seat from Hezbollah’s list,” the press office alleged. The arrest of anti-Hezbollah Shiite cleric Sheikh Abbas al-Jawhari at this timing is “a blatant meddling in the electoral process” in the Baalbek-Hermel district, Lebanese Forces leader Samir Geagea said on Friday.